"For me, words are musical objects." The best of American poets and the worst of American wars met head-on 150 years ago this summer in Walt Whitman’s Drum-Taps, his reflections on nursing the wounded and dying soldiers of Union and Confederacy. 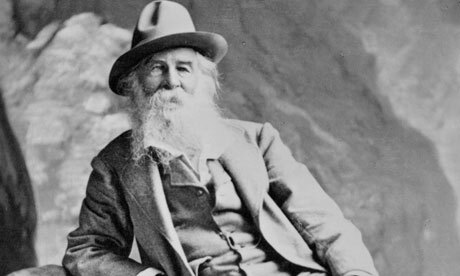 This is not the Whitman who celebrated himself and working people in Leaves of Grass ten years earlier, though he is more than ever “the poet of the body and of the soul.” This is Whitman in his mid-forties, crossing like Dante into a mass-murdering inferno of screaming pain, and finding also in the despair an astonishing measure of beauty and love. The audacious young composer Matt Aucoin, at 25, three years out of Harvard, sets his new Whitman opera in the battlefield hospital where Whitman served as a nurse. Aucoin hears Whitman in a mid-life crisis. He’s gone South in a hurry to find his brother, who’s been wounded at Fredericksburg, Virginia. But Whitman is crossing, with a purpose, not just into a war zone but into an oozing “bloody, black and blue” pit of amputation and agony after battle: 18,000 men had been killed or wounded in the Confederate victory over three days at Fredericksburg. In this setting, Whitman took on his last big mission in poetry: to see and describe what no one, back to Homer, had described before. That is, the comradeship, kindness, generosity, the “adhesiveness”—inescapably the love—that surfaces among men at war. The literary critic Harold Bloom chimes in with his ranking of Whitman: great American or greatest American? And finally Lawrence Kramer, the musician and cultural musicologist at Fordham University who edited the 150th anniversary edition of Drum-Taps from the New York Review of Books, will examine the sonic dimension of Whitman’s words. Composer, conductor, poet and pianist, whose opera Crossing premieres this week in Boston. Sterling Professor of the Humanities and English at Yale, legendary critic and author, most recently, of The Daemon Knows: Literary Greatness and the American Sublime. Powell M. Cabot Professor of American Literature at Harvard, leader this year of a new massive, open online course bringing Whitman to the world. Distinguished Professor of English at Fordham, musician and cultural musicologist. November 3, 2008 Thank you, Studs Terkel!